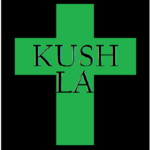 KUSH LA Collective is medical cannabis dispensary that serves the Los Angeles patients with the finest medical marijuana flowers and products. At KUSH LA Collective the top priorities are the patients' experience at the dispensary, an easy and convenient access to high-quality products, and customers' privacy. The company does everything possible create an environment of exceptional compassion and care and to ensure that every customer entering KUSH LA Collective is respected and valued. The dispensary aims at busting the myths concerning the negative effects of marijuana consumption and proving the efficacy of cannabis as a medicine through educating the LA community about the benefits of medical marijuana. The assortment there is not so big, but all the products are guaranteed to have the highest quality and potency. To ensure the absolute safety of the products, KUSH LA Collective deals only with well-established farms that have already made their names in the industry.